Red lorry, yellow lor.. oh. No, just red. 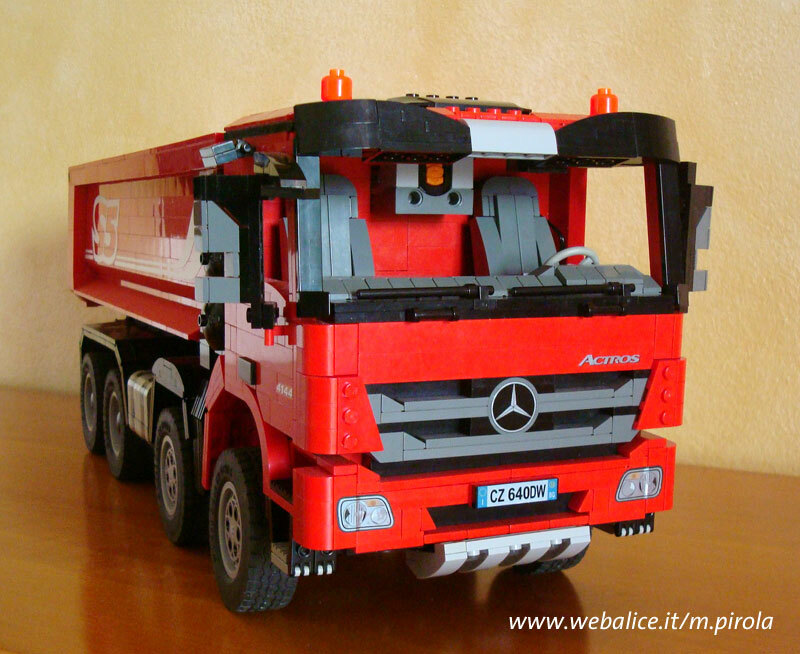 ‘Mpj’ is the owner of this enormous red Mercedes Actros tipper truck. As is the current trend, it’s loaded with Power Functions goodness. Check out the below YouTube video of it in action, or if you find the euro-pop music intolerable, view the Brickshelf gallery instead. One of the best looking Technic- / Model Team MOCs I’ve seen for a while! Brilliant!